Submitted by webmaster on 04/12/2018 - 11:24. 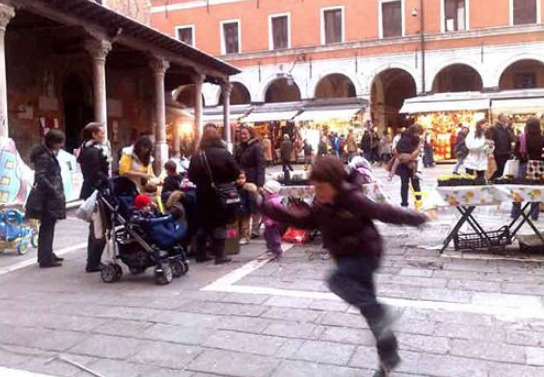 Perhaps few know that in Venice there are places where children can run and play freely: these are the famous campi or campielli among which we suggest Campo Santa Margherita, Campo Santa Maria Formosa, Campo della Bragora but especially Campo San Giacomo dell'Orio. 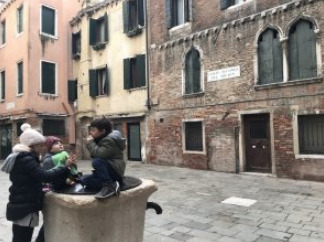 This campo is close to some schools that are still active in Venice, and it offers ‘local’ playmates in case your kids needs them (if you like to stay near San Giacomo dell’Orio, look at OUR PROPOSAL). 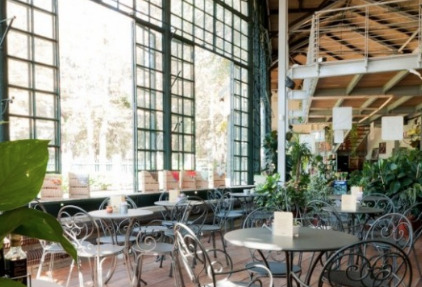 Very beautiful is also the Serra dei Giardini that can be reached by vaporetto (ACTV Giardini stop) in five minutes from San Marco: you will be ecstatic since the Serra is a small corner of green really magical and very nice for a moment of relaxation even for mom and dad. Always 'winning' with kids is a nice gondola ride. However, since this program is quite expensive, we advise you to take the ferry gondolas that carry goods and people from one part of the canal to the other. In Venice there are several ones and, even if the tour is a bit short, this solution still gives great emotions. If you are in the Dorsoduro area, do not miss a visit to the squero which is the construction site where gondolas are still made by hand. The place is very small, but seeing the artisans at work is extraordinary. This form of handcraft is gradually being lost, so the visit to the squero can also be a useful reason to talk to our children about the importance and beauty of the objects still made by hand: unique and unrepeatable items! However, what can make absolutely radiant a child's afternoon? A nice ice cream: so you have to go to the Zattere and taste the so called 'Gianduiotto' at the Nico ice cream parlor: the gianduiotto is a 'brick' of gianduia ice cream dipped in a glass of whipped cream. There are also for take away and we assure you that they are extraordinary. A nice idea, with ice cream and some sun, is also to continue for Rialto (look OUR PROPOSAL for your satying!) and go to see the covered fish market: the atmosphere is truly Venetian and between jokes, sales pitch and words in dialect to demonstrate the goodness of the catch, an hour passes really into joy. For those wishing to leave Venice for the day, the traghetto tour for the islands of the lagoon is very beautiful: we suggest you Murano, the homeland of glass, Burano with the colored houses of the fishermen and Torcello where there is an iteractive archaeological museum made up fit for children.